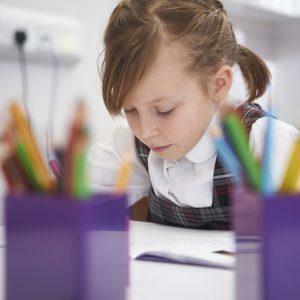 In year 1 and 2 we offer a broad and balanced curriculum that follows the National Curriculum subjects. It is, however, enhanced and enriched in order to provide every pupil with the opportunity to reach their potential. Literacy: The literacy curriculum ensures children are provided with opportunities for speaking and listening, spelling, grammar, writing comprehension, handwriting, reading and comprehension. 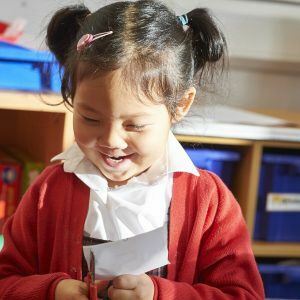 We focus on listening and responding to adults and peers, building on children’s vocabulary and encouraging children to articulate their knowledge and feelings. We believe all children should develop a love of reading. Children use their phonic knowledge to decode words and participate in discussions about a variety of books. We develop handwriting using the cursive Kingston script. Children combine their literacy skills to plan, draft and write their own texts based on the class weekly text focus. Mathematics: Our mathematics curriculum focuses on children embedding the key principles of maths: number and place value, addition, subtraction, multiplication, division, fractions, measurement, properties of shape, position and direction and data handling. We spend significant time ensuring children grasp these principles and are ready for more challenging work as they progress through the school. Children have problem solving lessons to encourage mathematical thinking and make links across the key principles. Maths is taught through written, practical and computer based activities. Numicon is used throughout the school to support number understanding. Science: Science is a core subject and is taught through topic areas. Children develop practical scientific skills including: questioning, observation, identifying and classifying, performing simple tests, making predictions and reaching conclusions. Children are given opportunities to learn about the world and become curious about the world. History and Geography: History and geography are taught through cross curricular themes and topics. In history, children consider significant global or national events e.g. the Great Fire of London and the lives of significant individuals in the past. In geography, children use maps to learn about the world’s continents and oceans and the countries that form the United Kingdom. They make comparisons between where they live and another non-European country. They develop an awareness of the world’s climate. 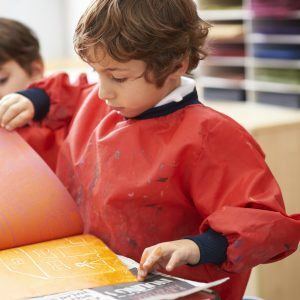 Art and Design: Art is taught by a specialist teacher who develops children’s creativity and imagination through drawing, painting and sculpture. The children explore and begin to understand use of colour, shape, space, pattern and texture. They study the work of a range of artists and make comparisons with their own work. Music: All children have weekly class music lessons taught by a specialist teacher. During these lessons, they sing, play percussion instruments, compose and listen to music. They also learn about instruments and composers and have the opportunity to have individual instrument lessons. The children are also given opportunities to perform in assemblies and school productions. Drama: A part time Drama teacher works with the children to enhance their performance skills. Throughout the year, each child performs in a production to parents, produced by the Drama teacher. Language: We teach French as a modern foreign language to all children from Reception as part of the normal school curriculum. The earlier a child is exposed to a foreign language, the faster the language in question is acquired. Computing: Computing is taught by a specialist teacher who ensures the computing curriculum is varied and constantly adapted to meet new technology. The teaching includes: programming using bee-bots and computer software, using technology to store and manipulate digital content, understand how technology is used in everyday life. 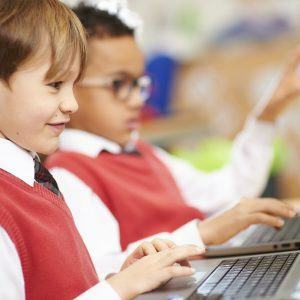 Using technology safely, respectfully and responsibly is a common theme across the school. Physical Education: With specialist trained teachers, the children are encouraged to develop their physical skills and spatial awareness. The children develop skills across a variety of sports including: athletics, cricket, dance, football, gymnastics, hockey, netball, swimming and tag rugby. There is a focus on competitive sporting activities to develop their team work skills. Religious Education: We recognise that learning about, promoting tolerance for and respect of different faiths is important. The religious education curriculum exposes children to a variety of faiths and explores their similarities and differences. Visiting a place of worship is a focus for all year groups. Personal, Social, Health and Economic Education: Through the PSHE curriculum children learn how to live in the wider world, develop health and wellbeing and relationship skills. The lessons promotes resilience, courage, core values, looking on the bright side, understanding emotions and relationships, the importance of humour, the ingredients for success and understanding and tackling bullying. Opportunities to develop a sense of the value of money are also created outside the classroom with real life scenarios, such as a toy sale, the school fair and charity initiatives.